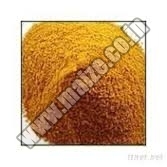 We are considered as one of the principal Safflower Seed Meal Exporters from India. We present superb quality Safflower Seed Meal that is available in different packing and quantities as per the requirements of customers. Extensively used as a cattle feed, Safflower Plant Seed Meal provided by us is available at affordable prices.